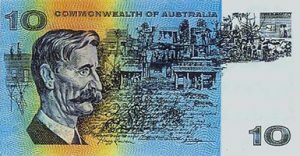 Henry Lawson was born on the goldfields at Grenfell NSW, on 17th June 1867. His father Nils Hertzberg Larsen was a Norwegian sailor who had a property at Pipeclay, near Mudgee. His mother Louisa had an interest in republicanism and women’s civil rights. Henry spent his early years at the property at Pipeclay. His father was often away, trying to earn enough money for the family as a carpenter. Henry had only three years of schooling at Pipeclay State School and the Catholic school at Mudgee. When he left school at 13 years of age, he began an apprencticeship as a coach painter. Henry’s parents separated when he was 15 and he eventually went to live with his mother, brother and sister in Sydney. Henry’s first published prose was in The Republican in 1887. His first published poem was A Song Of The Republic which appeared in The Bulletin the same year. His mother published the magazine Dawn, as well as Henry’s first book Short Stories in Prose & Verse in 1894 when Henry was 27 years old. Henry did various work to make a living including painting houses in Albany WA and Bourke NSW. He also worked on magazines The Boomerang (Brisbane), The Worker (Sydney) as well as submitting items to The Bulletin, Truth and the Sydney Worker. He also taught in a Maori school in New Zealand and spent time in London. Henry married Bertha Bredt, a nurse from Bairnsdale Vic. Bertha was the stepdaughter of the owner of a Sydney bookshop frequented by Henry and other writers and poets of the time. Henry and Bertha had a son and a daughter before separating in 1902. Henry moved all around Australia. He had a serious problem with alcohol abuse and was often very ill and in trouble with the law. He had friends who supported him and tried to help him abstain from alcohol. Henry Lawson died at Abbotsford NSW in 1922. 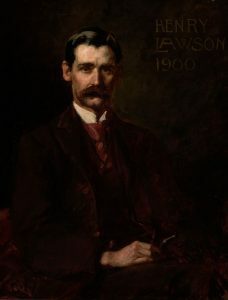 The following year, the Henry Lawson Memorial & Literary Society was established by Steve Ford at Footscray in Victoria. 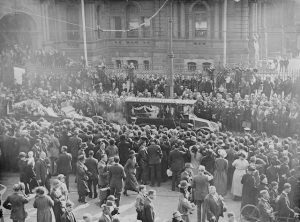 An important Henry Lawson collection, including one of his shirts and a walking stick, was presented to the State Library of Victoria by the Henry Lawson Memorial & Literary Society in 2003. The Henry Lawson Centre at Gulgong NSW is also devoted to Henry’s life story and work.